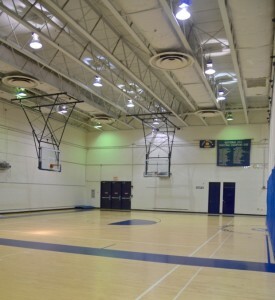 The Bender JCC offers sports programs for all ages in a variety of sports. Whether you’re new to the game or a seasoned athlete, the Center has leagues and classes for members to stay active, get fit, and explore new hobbies. Karate Kang’s Blackbelt Academy, the Bender JCC’s karate program promotes a non-competitive lifestyle, inner balance and discipline. We offer a variety of classes for all age-ranges and ability levels. GymnasticsOur gymnastics program helps children develop balance, flexibility and coordination, as well as social skills including confidence and self-esteem. BasketballParticipants learn the fundamentals of the game, such as ball-handling, shooting and defense. Two levels of classes offer in depth instructor. Multi-SportsPerfect for sports fanatics, we offer a variety of multi-sports programs to keeps kids active and engaged. 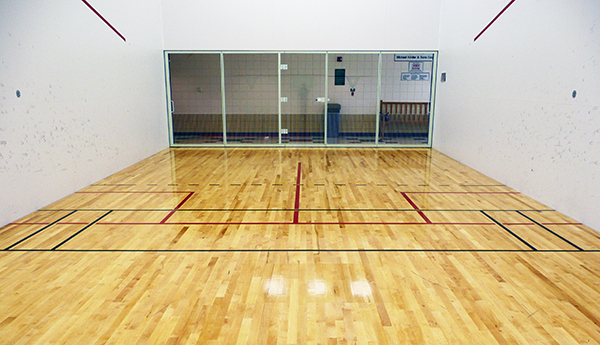 Participants enjoy floor hockey, basketball, dodge ball, T-ball, tennis and more! Youth Clinics Join the redesigned Youth Basketball clinics this winter where participants learn sport fundamentals in a high-energy, competitive setting. League includes game-play and instruction. 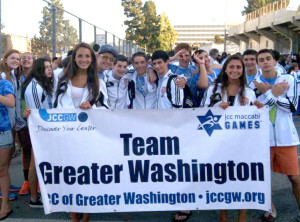 Created to promote community service, sportsmanship, and religious pride, the JCC Maccabi Games are a week-long Olympic-style event for young athletes aged 13-16. Held in different locations throughout the United States every summer, the games generate enthusiasm and excitement for everyone involved. The Mid-Atlantic Junior Games offer a one-day sports experience for Jewish athletes ages 10-12, modeled after the JCC Maccabi Games (a week-long Olympic-style event held in different locations throughout the United States every summer for athletes ages 13-16). The Jr. Games draw participants from Maryland, DC, Virginia, Pennsylvania, New Jersey, Delaware and New York for a day of spirited competition in team and individual sports! Love a good softball game? 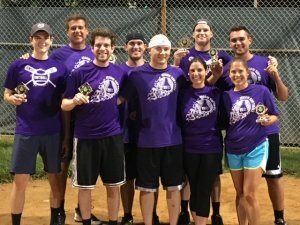 The Bender JCC’s active co-ed softball league is always on the lookout for a few good players! Interested in joining in? Contact Anthony Hunter at ahunter@benderjccgw.org. Register Here! What is Mamanet? 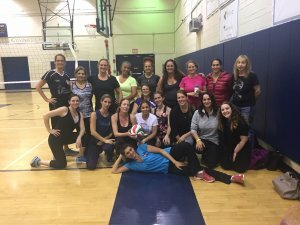 Mamanet is a community sports league of Cachibol (like volleyball) founded in Israel. It’s a great opportunity to meet other moms in the community while having fun playing weekly games. Register Here! Adult Krav Maga is BACK at the Bender JCC! Come join us for our new and exciting Israeli Self-Defense Class. Register Here!